Facebook Page Ke Liye Cover Photo Kaise Banaye ? मुख्यपृष्ठSocial MediaFacebook Page Ke Liye Cover Photo Kaise Banaye ? Hi Friends Is Article Ham Aapko Facebook Page Me Cover Photo Lagane Ke Baare Me Batayenge Dost Yadi Aapne Facebook Account Create Nahi Kiye Hai To Yaha Se Bana Le. Dosto Yadi Aap Facebook Chalate Ho To Aapne Facebook Page Jarur Banaye Honge. Dosto Facebook Page Ko Aap Jaante Hi Honge. Fir Bhi Se Ham Aapko Bata Dete Hai Dosto Facebook Page Ek Aisa Page Hote Hai Jisme Bahut Saare Log Jude Hote Ha Official Ya Unofficial Rup Se. Jisme Aapko Us Page Se Related Jaankari Milte Rahegi. 01.Facebook Page Ko Unfriend Kaise Kare ? 02.Facebook Account Ka Password Change Kaise Kare ? 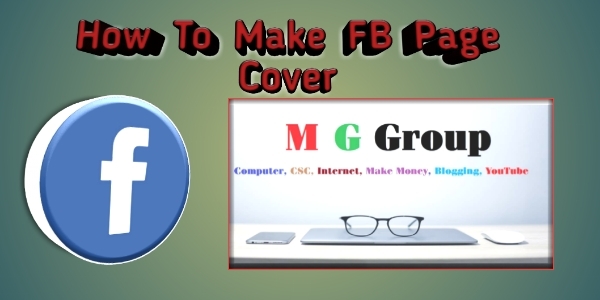 03.Facebook Me New Group Kaise Banaye ? 05.Android Mobile Ko CCTV Camera Kaise Banaye ? Dosto Maine Bhi Facebook Page Banaya Hai Jiska Name Hai Mera Internet Gyan Dosto Yadi Aap Hamare Page Se Judna Chahte hai To Page Ko Like Jarur Kare. To Dosto Ab Aapne Facebook Page Bana Liye Hai To Chaliye Ab Ham Aap Logo Ko Facebook Page Ke Liye Ek Badhiya Cover Banana Batayenge. Dosto Facebook Page Cover Ke Liye Ek Fix Size Ki Jarurat Hoti Hai Agar Dosto Ham Yadi Cover Photo Ka Size Ko Sabhi Tarike Se Nahi Banayenge To Jo Hamara Page Hai Wo Achchhe Se Nahi Aayega. Aap Facebook Page Cover Photo Ko Kisi Bhi Photo Editor Me Bana Sakte Ho Ab Aapko Dhyan Me Rakhna Ho Unke Size Ka. Dosto Main Paint Aur Photoshop Ka Use Karne Photo Edit Karta Hu Aap Bhi Is Software Ka Use Kar Sakte Ho. Step 01. Sabse Pahle Aapka Potoshop Ya Fir Paint Open Kare. Step 02. Fir Aapko Image Ka Size Ko 1640 *860 Karna Hoga. Step 03. Fir Dosto Isme App Apne Page Se Related Photo Ko Add Kijiye Ya Edit Kariye Aur Save Karke Use Facebook Page Cover Photo Me Upload Kar Dijiye. Dosto Facebook Cover Photo Banana Bahut Hi Aasan Hai Bas Aapko Photo Ki SIze 1640*860 Rakhni Hai. 01.Indian Facebook Talkfever Kya Hai Isse Paise Kaise Kamaye ? 02.Twitter Account Me Apna Profile Photo Change Kaise Kare? 03.Google Tej UPI Se 9000 RS Kaise Kamaye ? 05. India Ka Sabse Low Price Laptop ?